Movie Review- The Heat — Always Packed for Adventure! You should judge this book by its cover. 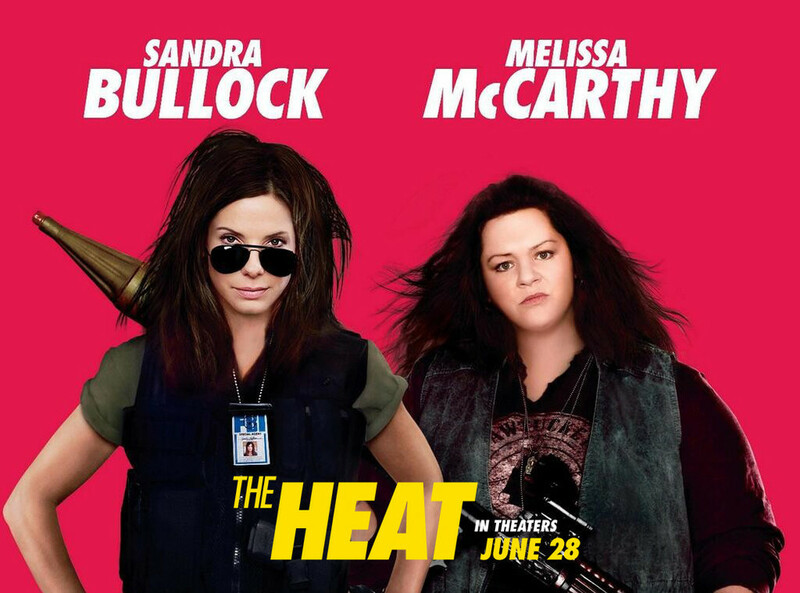 The new Sandra Bullock/ Melissa McCarthy buddy-cop movie, The Heat, is as painfully bad as its poster. Truly, this was one of the worst movies that I've ever seen. Admittedly, the previews for The Heat didn't entice me. My aunt likes Sandra Bullock movies and was in need of some comic relief, so we went. Bullock is predictably cast as the awkward cop. I have no idea why Bullock is consistently cast as characters lacking coordination. She's not good with physical comedy and it's not funny. McCarthy is the loud-mouth, ballsy cop. I'm not bothered by swearing, but McCarthy's character swears more than all of the characters in a Quentin Tarantino film combined. Again, it's not funny. Neither character is remotely likable. The friendship between the two characters doesn't really develop until the last fourth of the film and by that point, it's far too late. I needed to relate and sympathize with these two misfit cops and I never did. The actual plot of the film is very conventional. In order to leave the plot alone and make me like the movie, I needed to have fun watching the two main characters interact. Nearly every minor character in the film is a colorful character, heavily playing on stereotypes such as McCarthy's loud Italian family or the slimy drug lord. Every element is highly unrealistic. However, had the two leads been fun to watch, I may have gotten into the spirit of the style. It should of played out more like Anchorman, where the audience willingly gives in to the absurd. McCarthy won me over for her role of Sookie St. James on Gilmore Girls. I thought that she stole the show in Bridesmaids and is generally really funny. I don't know how she got roped into starring in this piece of crap. Usually even with really bad comedies, I find something that strikes me as funny. I didn't laugh once during The Heat. The writing is atrocious and the deluge of one-liners is eye-roll inducing. There is absolutely nothing that could compel me to watch this again or recommend it.